During the Executive Board Meeting of RCL Zone Europe of July 8, 2018 a new Zone Board has been elected and installed, according to the applicable rules and regulations for the next 4 years. On behalf of Branch 005 President Gerard Hendriks congratulates all with this appointment. Besides this he paid a tribute during the meeting to Valerie Laucke for her energy and effort she put in the last (sometimes difficult) years as Zone Commander. Brother of our former Zone Commander Andy Andrews. 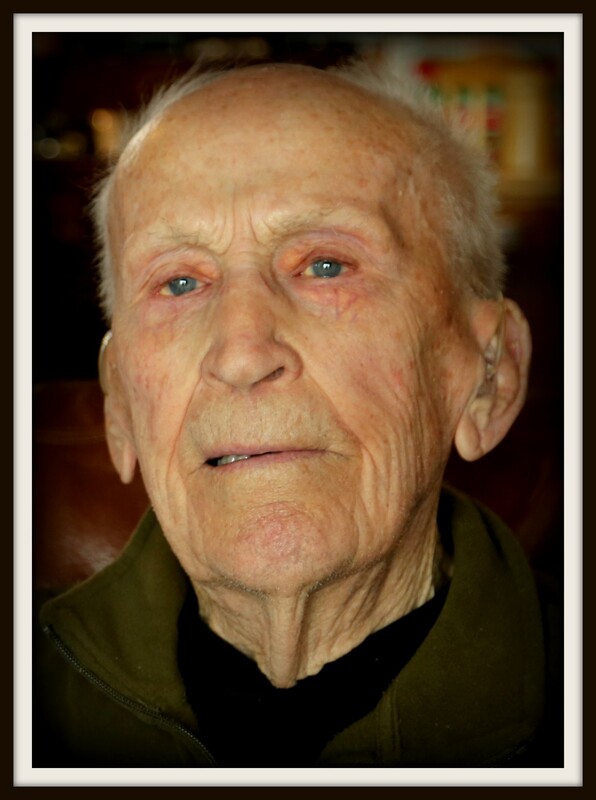 peacefully at St. Catharines General Hospital, after a brief illness, on May 24, 2018 in his 97th year. Duffy was a devout Catholic and had a deep faith, and was a loving husband, father, grandfather, and great grandfather. 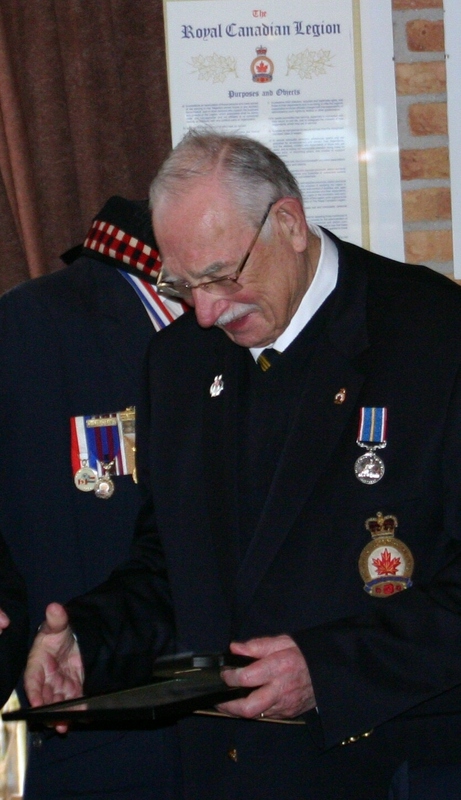 A founding charter member and Past Grand Knight of Immaculate Conception Council, Knights of Columbus in Fort Erie, and also a Lifetime Member of the Royal Canadian Legion. Predeceased by his loving wife Mary of almost 66 years in 2014, and his daughter Candy Smaill in 2017. Duffy was the oldest of 5 brothers and son of E.J. “Teddy” and Mae Andrews of Fort Erie, ON. Survived by son Christopher (Marybeth) Andrews of Lowbanks, Ontario. Also survived by grandchildren Joseph (Sophia) Smaill of Surrey, B.C., Geneva (Alex) Smaill of Vancouver, B.C., Michael (Autumn) Smaill of Burnaby, B.C., Hayden (Ivy) Andrews of Toronto, Ontario. Great grandfather to Zoe Alethea Smaill and Penelope Mary Smaill, both of Surrey, B.C. Predeceased by brothers Herbert (Phyllis) of London, ON; Jack (Gisela) of Schwanau, Germany; Ron (Myrna) of Sarnia, ON; Raymond (Joyce) of Sault St. Marie, ON. Duffy also leaves several nieces and nephews. 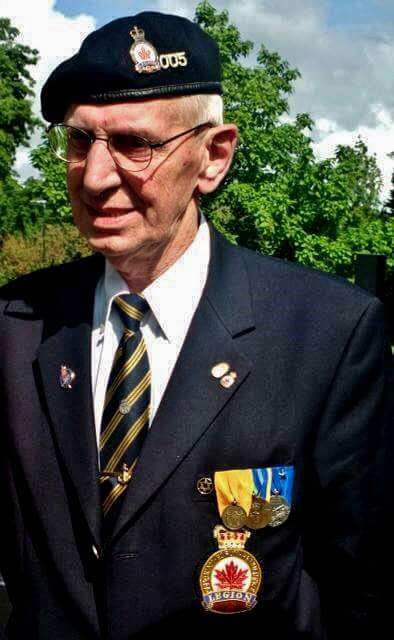 Born on the Empress of France on the North Sea, on August 20, 1921, Duffy served with the Lincoln and Welland Regiment during World War II in France, Belgium, Netherlands and Germany. In 2016, Duffy was awarded the Legion of Honour of France, for his distinguished service while serving in Normandy in 1945. Family will receive friends and relatives at Benner Funeral Services, 1105 Benner Road, Fort Erie, Ontario on Thursday, June 14, 2018 from 2pm – 4pm and also 7pm – 9pm. Funeral Mass will be held on Friday, June 15, 2018 at 11am at St. Michael’s Roman Catholic Church, 310 Central Ave., Fort Erie, Ontario. Private interment to follow. On February 11, 2018, comrade Howard Miller unexpectedly passed away at his vacation address on Lanzarote. The family has stated to be deeply sad but thankful that pain and suffering have been spared for him. 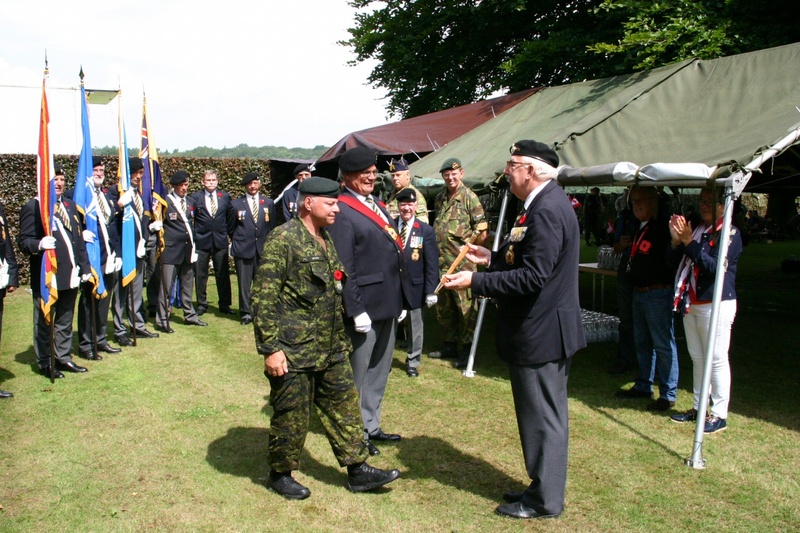 Howard was, as “oldest”, a member of the Royal Canadian Legion for more than 25 years and the patriarch of the Poppy Campaign in Zandvoort. Although he could no longer actively present the Poppies to the public around Remembrance Day on 11 November, he always wanted to be informed of the daily results afterwards. The funeral ceremony of Howard has taken place in the meantime. May he rest in peace. 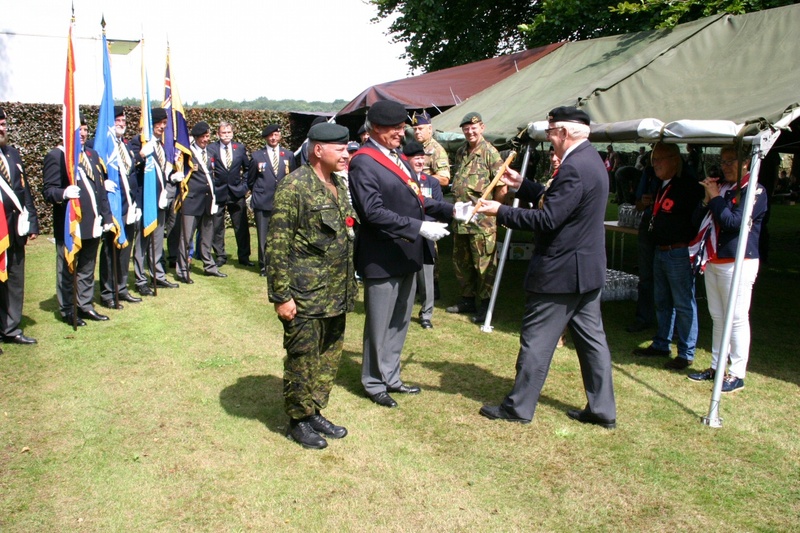 Drill Cane of the Royal Canadian Electrical Mechanical Engineers with tribute and honour offered by the Regiment Sergeant Major Luc Moreau, to the Royal Canadian Legion 005 Liberation of the Netherlands. 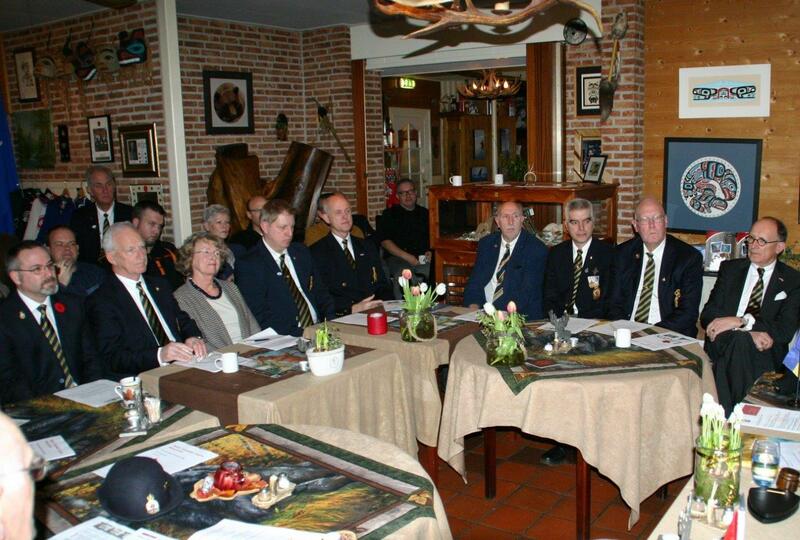 On Sunday, February 19, 2017 the General Meeting will be held in the clubhouse of RCL 005, Restaurant Mondani in Lochem. Besides the usual accountability of the board of RCL Branch 005, during this meeting the bi-annual election of the Board members will take place. Members are most welcome as off 12:30PM. The meeting will start at 01:00PM. 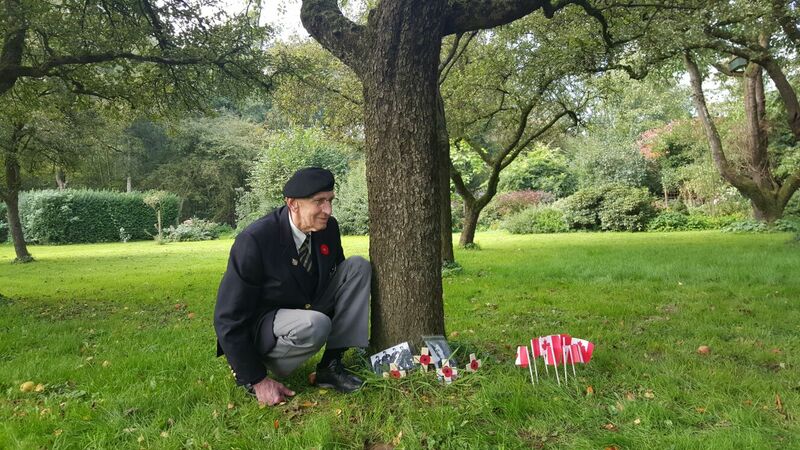 On November 15, 2016 an article in the Gelderlander newspaper was published telling that on Christmas eve there will be 2.617 lights burning on the graves of the Canadian War Cemetery in Groesbeek. 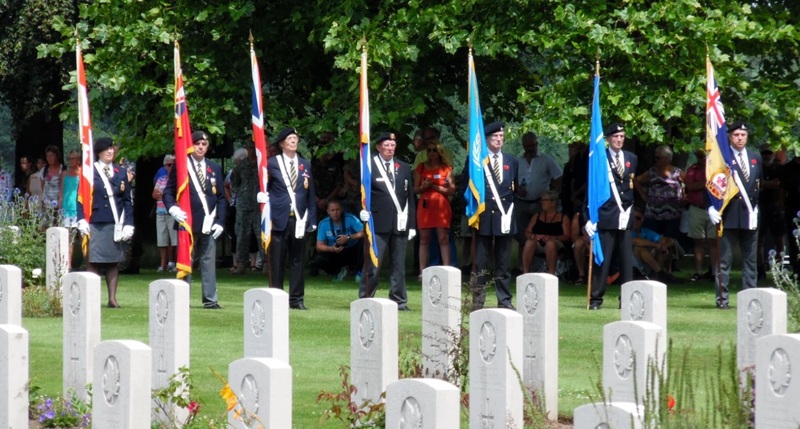 Just like the municipality of Holten does for over 25 years, the initiators Bert Eikelenboom, Bart Boone and Gerard Hendriks would like to accomplish that at Groesbeek. They seem to be successful. Watch the news in the Gelderlander carefully. Thursday 22 September 2016 our comrade Jan Griekspoor exchanged his earth life for the hereafter. Jan went, weakened by his illness, silently. As he chosen it himself. Until the end of his strength he was present at and compassionate to the commemoration ceremonies of passed on comrades. Participation in the Colour Party of RCL005 was obvious for him, but regretfully not possible at the end. 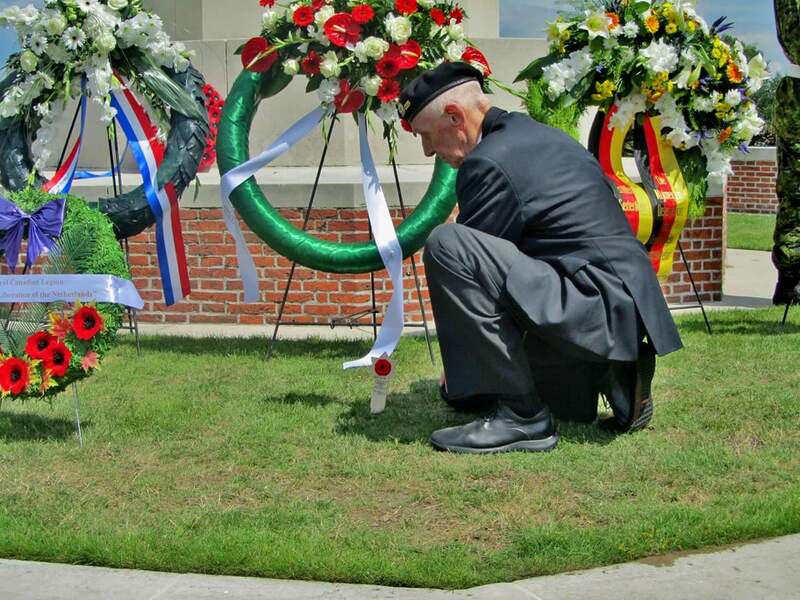 Still he was present at the commemorations to always place his “Poppy-cross” to honour his past on comrades. A modest and very much appreciated man is no longer in among us. We wish him a safe journey. The funeral will take place in silence and privately, in order to Jan’s wishes. He also requested to not forget and to support his wife Elly. You can send your messages of condolences and token of support to the secretary office of RCL005. We will provide the forwarding to Elly for you. Frequently RCL005 receives positive feedback about our website and the information it contains and made available to everyone, but particular for our members. Of course there are discussions and suggestions given about the content of the site, which we are pleased with. We are constantly working on improving the quality and perform check-ups to maintain integrity of the information on the site as we are doing so now. This takes a lot of time and it sometimes to the detriment of the speed at which information can arrive at everyone. 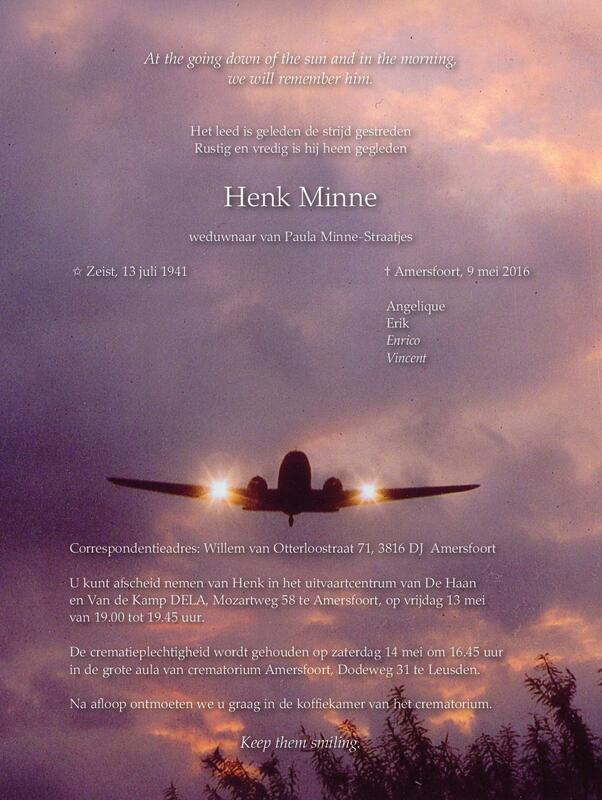 In memory of Comrade Henk Minne. 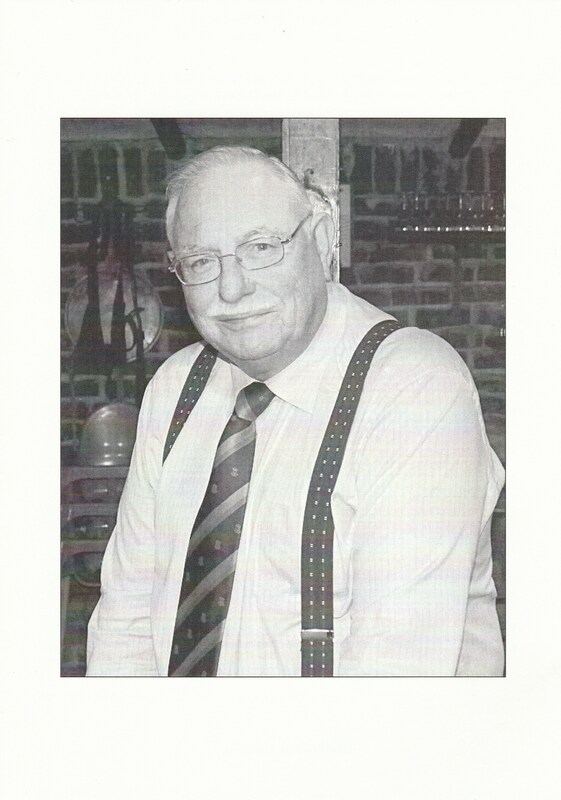 Monday May 9, 2016 we received a notice that our highly appreciated comrade Henk Minne has passed away. After a long period of illness Henk eventually closed his eyes for the last time. We knew his health was progressing very badly, but even so this message arrived unexpectedly. This is a very sad moment. RCL Branch 005 was close to his heart. Every year he was emphatically present at Wageningen in his old re-enactment Air Force uniform and his inseparable Canadian vehicle. 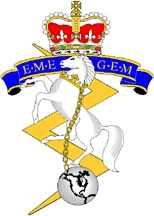 Also he often attended many Colour Parties and was always proud and honoured to carry one of the Colours. It was easy to talk with him about the war and as always you received all possible information from him. We will miss him tremendously. But we will never forget him. We wish his family all strength with the enormous loss. Friday, May 13, 2016, the condolence at the funeral home from 19:00 to 19:45 Uitvaartcentrum De Haan en Van de Kamp DELA, Mozartweg 58 Amersfoort. 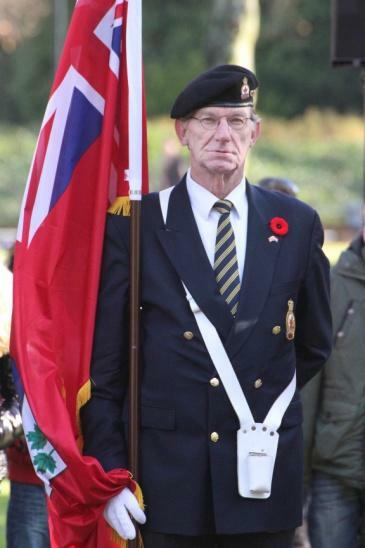 4 Colour Party with flag (Canadian / British / Dutch / Branch flag) Banner Guard during the condolence. Saturday, May 14, 2016, the cremation ceremony at 16:15 present at crematorium Dodeweg 31 3832 RE Leusden. 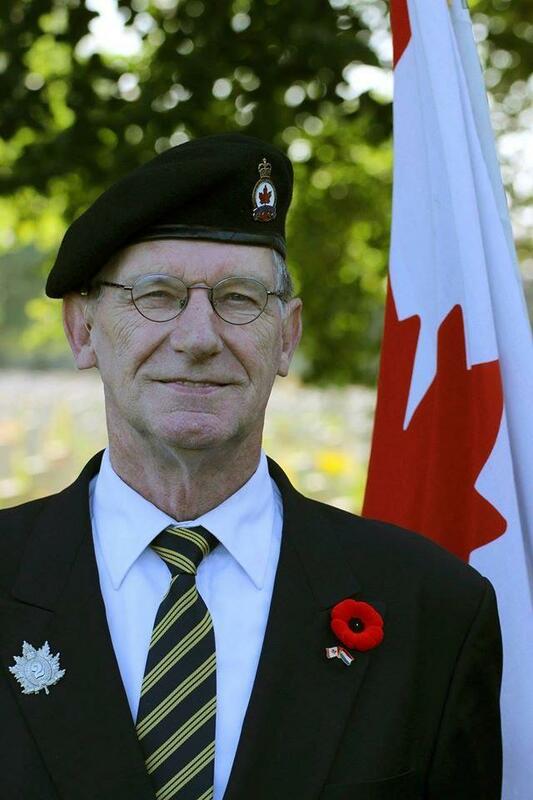 There is an Honour Guard upon arrival and during the service a banner guard around the coffin (4 man with flag).